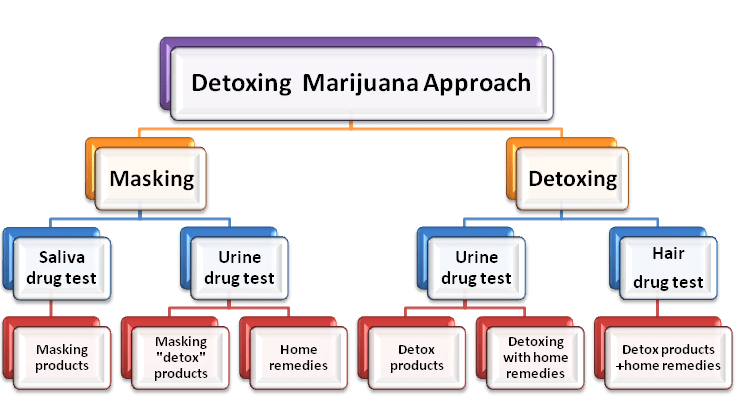 If you are facing a drug test, in order to increase your odds of passing it, you need to choose one of two main approaches of how to detox marijuana: (1) masking your saliva and urine, and (2) detoxing your whole body and hair. Many weed users, especially new ones, are often confused as to which approach to choose in order to increase their probability of passing a drug test. – which approach to choose, and how to use that approach, in order to pass saliva, urine and hair drug tests. In order to appreciate how much different controversial information there is on the WEB, we offer a following detailed diagram. 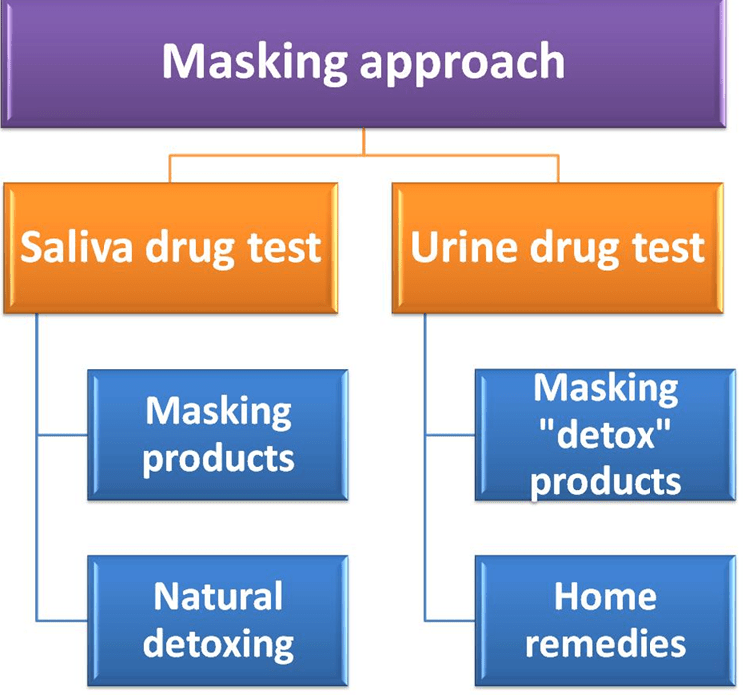 This diagram shows that both approaches, masking and detoxing, use combinations of different products and home remedies. We want to make sure that you have a better picture of which approach to use in order to pass your drug test. If you are still not sure after reading this post what to do in your case, please do not hesitate to contact us. We will try to help you choose the best approach. The main principal behind the masking approach is to make undetectable any consumed prohibited substances by drug testing laboratories for a very short period of time in order to pass a drug test . Mainly the masking approach is used for saliva and urine drug tests. This approach does not longer work for the hair drug test. All masking substances are easily detected by the labs. However, many masking products are still on the market. Unfortunately, users still fall for such scams. With the masking approach, users try to decrease the concentration of drugs in their fluids, saliva and urine below the cutoff level for a very short period of time – i.e. from 1 to 5 hours. Drug cutoff level is the minimum concentration of drugs or metabolites that must be present in a sample before labs report drug testing results as positive. 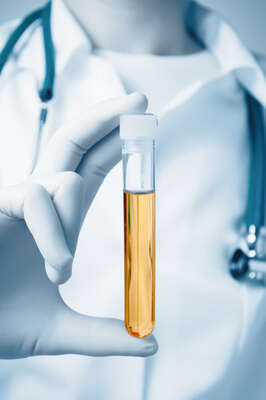 For urine, the marijuana (THC-COOH) – THC drug test cutoff level is 50 ng/mL. There are two ways to pass a saliva test: (1) wait till your saliva detoxes naturally over a short 48 hour period of time or (2) use a masking product specifically design to pass the saliva drug test. It is imperative to note that if you smoke marijuana less than 24 hours before your saliva drug test, using regular mouthwash products is the wrong approach for passing the test. 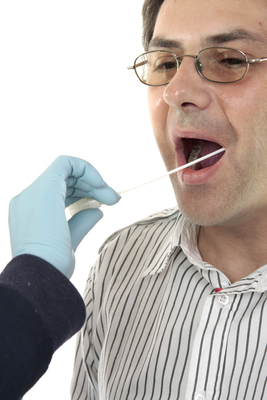 How to Pass a Saliva Drug Test – 2 Facts You Need to Know!! Most users try to mask marijuana metabolites either using home remedies or popular “detox” drinks. 2.1 Masking urine with home remedies. There are many popular home remedies recipes online with hundreds of users’ testimonials claiming they have used a certain home remedy and successfully passed their urine drug test. We have not seen any actual proof that any of the above listed home remedies recipes are reliable approaches with a high success rate for most marijuana users. 2.2. Masking urine with masking ‘detox’ drinks. Many weed users are confused by the labeling of such products as ‘detox’ drinks. This is why many users believe that using such drinks can help them pass their drug test. The truth is that such ‘detox’ drinks are only designed to dilute the urine, add necessary vitamins and minerals and – as a result restore- body nutrient levels to normal levels for up to 1 to 5 hours (known as the “detoxification zone”), not completely detoxify the body. The detoxification zone usually starts 1 hour after you have finished the ‘detox’ drink and continues for to up to 5 hours, with maximum effect during the FIRST 3 hours. Based on our extensive research, we came to the conclusion that consuming ‘ detox’ drinks users have 50-50 chance of passing their drug test as there are many factors that play a significant role the result – including body weight, life style, individual metabolism and how often marijuana is consumed. We are of the opinion that most popular ‘detox’ drinks might work for users with a light, or in some cases, moderate toxin exposure. – if light and moderate users have enough time till their drug test, they can clean up their bodies naturally without any products. For light exposure in a person of average weight, marijuana (THC) can be detected in urine up to 4 days after the last use. For moderate exposure in a person of average weight, marijuana (THC) can be detected in urine for up to 10 days after the last use. – if a light or moderate user is running out of time, masking drinks might help to drop the concentration of drugs in his/her urine below the cutoff level. However, with a heavy or extreme toxin exposure, users need to complete more than a 1 hour drug masking program. According to Wikipedia, body detoxification (‘detox’) is the “physiological or medicinal removal of toxic substances from a living human body”. With the detoxing approach, users try to drop the concentration of drugs in their urine and hair, below cutoff level permanently. 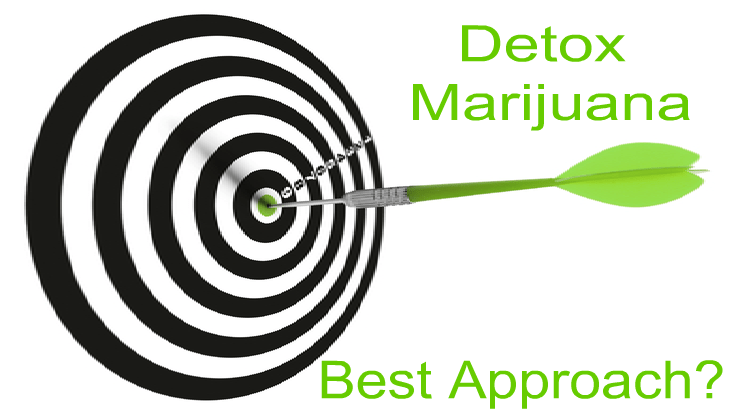 Using detoxing approach you actually detox your whole body from THC. Mainly, the detoxing approach is used for urine and hair drug tests. It is effective for blood and saliva drug tests as well. However, because blood and saliva detox naturally during a short period time, detoxing approach is not very popular for these tests. pass a urine drug test with a detoxing approach: (1) wait till your body clean naturally over a period of time or (2) use reliable detoxing products. You just to need to determine what kind of smoker you are and wait patiently for the THC to clear based on the estimated time presented in our post: ‘How Long Does Weed (THC) Stay in Your Urine?’ – Important Data You Need to Know!!! If you would like to expedite the natural THC cleaning process by several days, you may start detoxing your body through aerobic exercises several hours a day along with spending time in a sauna and maintaining a healthy diet. Toxin Rid Detox Program Review-What is Best for You? 1.2 If you are running out of time before your urine drug test, you can detox your body using reliable detox products. In order to increase your odds of passing a drug test to the highest possible level, it is imperative to know what products to choose and how to use these products. 3. how reliable the distributing company is. In addition, it is important to check product and company reviews. Many weed users fear the hair drug test because of its reputation as the toughest test to pass. However, because of the following three well known effective methods have been invented, the hair drug test is not that difficult to pass. Each of the three methods has a 90% success rate if you follow their instructions precisely. Some, such as Old Style Aloe Toxin Rid Treatment method, works for all types of head and body hair, and all types of toxic exposure, and has no side effects. We presented in the post a comparison chart where you can find a short summery of the three most popular effective hair cleaning methods for passing a hair drug test. You just need to choose among the three the method the one that best suites you. If you are not sure what approach to use in order to pass your drug test, please do not hesitate to ask by leaving your questions and/or comments below. We will make sure to come back to you within 48 hours. it is three weeks now and I keep testing myself and it still comes out + I been working out change how I eat fruits veggies drink alot of water. Den..As you still test positive after 3 weeks of abstaining, I have rated you as a heavy or an extreme heavy user. For a heavy or an extreme user it can take from 30 up to 90 days to detox naturally. If you have time until your test, keep up with your natural detoxification process. If you are running out of time, I would recommend either a 5 day Toxin Rid or 10 day detox program. Please read these programs reviews and follow our recommendations of light to moderate aerobic exercise, healthy diet, avoid fatty foods and sugars, sweat, use a sauna or steam room if available, abstain from all toxins including cigarettes and alcohol. I have 10 days from the day I receive the aloe shampoo from you to take my 5 panel hair test. Is that enough time to just use this process or do I need to also use the Mujuco method? According to what I have read 10 days should be enough. 1. If you received the aloe shampoo from Testclear, you purchased the right product. 2. I would recommend using the Aloe shampoo as many times as possible during the 10 days until your hair test. You can use it up to 4 times a day. The Ultra Clean shampoo should be used on the day of the test. 3. We have seen that some users combine two methods: the Aloe Toxin Rid Treatment and Macujo methods. They start cleansing their hair with Aloe shampoo for some time and then use the Macujo method 3 days prior to their hair drug test with the Ultra Clean shampoo used on the day of the test. It is up to you if you decide to combine these two methods. However, we have not seen even one complaint so far that combining these two methods and following all instructions and recommendations have resulted in a failed hair drug test. I am almost 120 pound petite female I have a test coming up in a week or so . I used to smoke heavy but since January I haven’t hit a whole blunt by myself but I did a week ago and now I have a test. Lucky right well now I’m freaking out. I’ve been eating fiberbars and walked a whole bunch I still don’t feel as if it’s enough and don’t want to waste my money on a detox drink just to fail the test that I have to pay for. Rocky..Based on your smoking history, I would classify you as a light user. Light users can become clean from THC in 4 days. Considering that your test is in 1 week, I do not think you need any detox products as you might become clean naturally. I would recommend buying several home urine drug tests at a local drug store in order to check your THC levels during your natural detoxification process. I would also recommend a regiment of moderate aerobic exercise, healthy diet, plenty of fluids and avoiding all toxins including alcohol and nicotine. If you abstain until your drug test, and follow the above recommendations, your chances of passing your urine test are pretty good. To give yourself piece of mind and confidence, make sure to test yourself with the home test before you go to the actual drug test. Hi I am a black male and I have a hair test coming up soon like maybe a week or two. I have smoked my last joint about the last week of may 2016 and I been smoke free ever since. I would consider myself a heavy smoker as I could smoke a whole blunt solo. I have no body hair as my girl likes to shave me for her own reasons and I have a beard that gets cut often and hair I get cut once a weak to a length of 1/8″. What should I do because I don’t have any hair that is 1 1/2″ long. So should I let it grow or am I okay because I always get hair cuts? Need information please/. B’DaOnne..It is not possible to predict what the Lab will decide to do in your situation as according to the instructions they have to obtain the 1.5 inches of the hair closets to the scalp. Or the hair sample can be taken from your legs, arms, pubic, etc. Since hair grows for 0.5 inch a month and you are a heavy user, you will need more than 3 months to grow 1.5 inches of clean hair. So, it looks like growing a new hair is not a good option for you. If the Labs are not able to obtain enough hair samples (complete body and head hair shaving) to perform the drug test, the hair drug test might be either rescheduled or replaced by a blood, urine or saliva drug test. 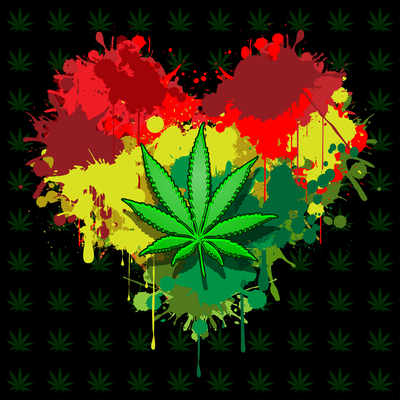 I have never been a smoker but I went to a reggae concert that was outdoors and I have a drug test in two days I’m worried about second hand smoke. Could I test positive? Never smoked in my life. NE..I would not worry about your second hand contamination, unless you spent a lot time with marijuana smokers in smoke-filled cars, unventilated rooms or inhaled marijuana for a prolong period of time. It does not look like that this is your case. If this still concerns you, you can check your THC levels with a home urine drug test any time. You can buy them at a local drug store. As you never smoked, you should not have any issues with passing your urine drug test. Kappajoe..3 weeks and 2 days are definitely enough to become clean from THC. If you would like to check where you stand now, I would recommend buying a home urine drug test at any local drug store and check your THC levels. Rob..Since hair grows 0.5 inches a month, usually it takes 3 months to grow 1.5 inches of new hair. If you shaved your head and body hair recently, 2 weeks will not be enough to grow 1.5 inches of new clean hair. It is tough to predict if Labs will accept less than 1.5 inches of your hair or not. We have seen different cases. If the Labs are not able to obtain enough hair samples (complete head and body hair shaving) to perform the drug test, the hair drug test might be either rescheduled or replaced by blood or urine tests. I had been clean for almost a year but about a month ago I smoke maybe 5 hits a week for 3 week and then stopped. I am going to be hair tested in the next two weeks what are the chances of me failing/passing because it was so little? I don’t want to ruin my hair ? Michelle..Even though you did not smoke much, there is a chance that your hair THC–COOH level might be close or a bit above the cutoff levels. Some Labs like Psychemedics have very low cutoff levels – 0.5 pg/mg (screening) and 0.05 pg/mg (confirmation). As a result it is pretty tough to pass their hair drug tests. As you still have enough time until your hair drug test, I would recommend using a home hair drug test. This will show you if you can pass your actual hair drug test or not. If you test positive for THC-COOH and as you do not want damage your scalp and hair, you can look at the Aloe Toxin Rid Treatment method which has no known side effects. You should wash your hair with Aloe shampoo as many times as possible and use the Ultra Clean shampoo on the day of the test. It is essential to follow the Aloe shampoo instructions to the letter. You should apply a shampoo and massage into your scalp and hair for 10 minutes and let it sit for a while. Despite the side effects, we have seen that for the best results users have combined the two methods: The Macujo and Aloe Toxin Rid Treatment methods. They start cleansing their hair with Aloe shampoo for some time and then use the Macujo method 3 days prior to their hair drug test with Ultra Clean shampoo used on the day of the test. Many users prefer dealing with the side effects in order to give themselves the best possible odds of passing their hair drug test. The last time i smoked about 3-4 puffs was oct.19 2016. Havent smoked in years but that on the 19th…i will take a drug test nov.3rd. Thats about 15 days of no other smoking weed. Should i be okay and pass???? April..You should become clean from THC by November 3rd. Usually light users test positive for THC up 4-5 days. I would recommend checking your THC levels with a home urine drug test which you can buy at a local drug store tomorrow. I think that you have a good chance to be already clean. I am 155 pounds with a high metabolism, work out 2-3 times a week and have an active job. I smoked for the first time in over 3 years and I smoked 4-5 times over a week long period taking 4-5 hits each time (About one bowl) and the last time I smoked was on Oct 31st. I didn’t smoke from then until November 19th when I had a drug test in the morning. I peed only once in the morning before the test and wasn’t drinking a large amount of water yet because it was so early. I started to freak out all day and once I got home I bought an at home test that said negative but I was drinking water continuously through out the day. It takes about 2-4 weeks to know if it was positive and they don’t say anything if it was negative. I haven’t been able to stop thinking about it and the stress is gonna eat me alive probably for the next month and a half. I need some reassurance that I shouldn’t worry at all but if there is a chance that it could be positive at all I need to prepare for the consquences. I would appreciate your knowledge for my situation. Anonymous1..I completely understand why you are so worried as going through any drug tests is a pretty stressful situation. Considering the one week of your active smoking for the last 3 months, Bio and 19 days of abstaining from marijuana, I would say that you had a pretty good chance to become naturally clean from THC by the time of your urine drug test on the November 19th. If you tested yourself with a home urine drug test before your actual drug test, you would have already known if you could pass your test or not. By the way, this is a bit strange to hear that you won’t know your test results for the next 2-4 weeks as usually Labs report the drug test results within 72 hours. Justin..If you smoke only once after 2 years of abstaining, you might test positive for THC up to 4 days. I would recommend checking your THC with a home urine drug test. This will show when you are clean. Anne3..Without knowing your Bio, life style and detailed smoking history, it is tough to say for how long you can test positive for THC. We have seen that many heavy users who do not exercise can test positive for THC from 30 up to 90 days. It is good that you have already started detoxing your body through exercising and healthy diet. However, if you did not use any whole body detox program, this might not be enough to become clean before your actual drug test. I would recommend getting a home urine drug test at any local drug store and check your THC levels. This will show where you stand now. If you still test positive and it is a supervised test, I would recommend trying to reschedule your drug test. It will give you the opportunity to have more time to detox naturally and use a whole body detox program. If you cannot reschedule, you might try using Mega Clean dilution drink or home remedies like certo and B12 (for color). This might help to drop your THC levels below the cutoff levels. This approach does not increase your chances of passing the urine drug test significantly. But it will be your best shot for your situation. If the test is unsupervised, we have seen that some heavy users try using synthetic urine. A14..As you have an extreme heavy toxic THC exposure at the moment, without using a whole body detox approach you can test positive for THC from 45 up to 90 days since your last use. Usually for extreme heavy users, we usually recommend that they complete at least a 10 day toxin rid detox program combined with a natural THC cleansing process through low to moderate aerobic exercises along with drinking plenty of water, spending some time in a sauna and a healthy diet. You should cease all exercises and sauna usage at least 24 hours before your test. I always recommend checking your THC levels with a home drug test after completing a whole body detox program. If you still test positive, you may just need a couple of extra days to get clean. You can try it naturally if you have time or you can get a few extra days of a whole body detox program. If you run out of time and the test is unsupervised, we have seen that some heavy users try using synthetic urine. I last smoked January 24th so 2 and a half months ago, and took 2 hits out of a bowl last night. am I still considered a light smoker and could expect a 3-4day timeline till I’m clean again? no pressing issue for drug tests yet, just kinda trying to gauge my timeline. Analymouse..If after abstaining for 2,5 months your THC levels dropped below cutoff levels, then after 2 hits you should become clean within 4-5 days. You can check your THC levels with a home urine drug test in 4 days. This will show where you stand. thanks John, does it make a difference if I was a relatively heavy smoker before then? I’m still going to get the urine test just to be completely sure. if I stick to the once every other week I should still be on that 7 day clean regiment correct? Analymose..If you became clean after 2.5 months of abstaining which you confirmed by passing a home urine drug test, and you keep smoking once every other week, you should become clean within a 4-5 days period. I don’t smoke everyday or every week the last time i smoked waz yesterday May 6th. I have a drug test may 12th. On may 5th i smoked all day and night took dabs, smoked bowl after bowl until about 5 am then smoked again all day on the 6th. I have the herbal cleanse im going to take tomorrow and start drinking about 200 oz of water a day and eatting fruit and salads and start working out. And btw im 300lbs. 5’10.. Do you think i will pass? No name..If you did not smoke much during last 3 months (once a week or less), you might have a chance to detox naturally in 6 days. However, you might still test positive because you carry extra weight. You should check your THC levels with a home urine drug test the night before your actual drug test. If you still positive, you might consider using QCarbo32 on your actual drug test date. The dilution drink like QCarbo32 is only effective during 5 hours with the most effect on the 3rd hour after taking it. So, this is why it should be taking on your actual drug test date. Please read our product review and recommendations here. Do not forget to check where you stand in one hour after taking QCarbo32 with a home test. This will show if you can pass or not. I got hired last week for a new job my drug test is this Thursday. I last smoked last Thursday I uselly smoke once a day up until last Thursday..I go to the gym 2-3 x a week .. I started a home detox drinking water (about 2-3 16oz bottles daily) ,green tea (one cup a day )& Cranberry juice(one cup a day ).. 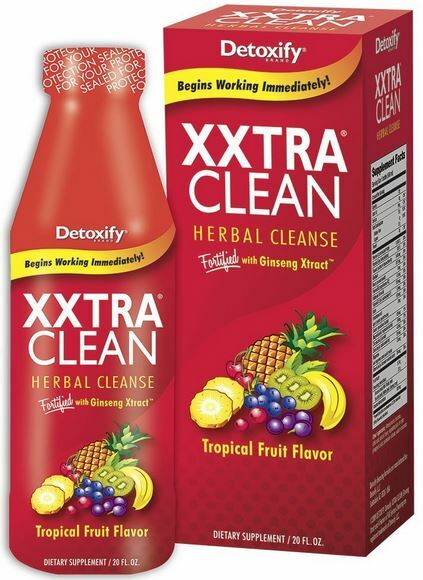 I read about these the cleaners detox pill got some only took them once because I was pooping all day & didn’t like that . I took a at home test it read negative but Im still nervous.. any recommendations? Nakeisha..It’s a great sign that you have already tested negative on a home urine drug test. I would recommend checking your THC levels several times to make sure you receive consistent results especially because of your everyday smoking marijuana history. Usually everyday users test positive for THC for a much longer period of time. Besides, we have seen that some users passed their home urine drug test but failed the actual drug test because of over diluting their urine sample by drinking too much water. Labs can easily detect an over diluted urine sample. I am a 19 year old female, roughly 125 lbs. Currently working at a greenhouse, I regularly excessively sweat at least 3 – 6 days a week. I sweat excessively as it is a laborious job, plus rising humidity and temperatures equating it to being in a sauna for a stretch of time multiple times within a day. Due to excessively sweating, I drink water more than anything, refilling my 500 ml water bottle from 2 – 8 times a day. I’ve regularly smoked at least a bowl or more daily for roughly a years, with the exception of 2 weeks of sobriety (one week 9 months ago & one week 1 month ago). Tomorrow will be my 7th day of sobriety as I’m preparing for a new job that I will be urine tested for. How long do I need to wait before applying for my new job? Carles..With your THC toxic levels, you might test positive from 30 up to 60 days since your last use. However, considering your low percentage of body fat and your work place conditions, it might take up to 30 days to detox naturally in your case. If you would like to speed up your natural detoxification process, you might consider completing a 10 day whole body detox program. Please read more details about the program here. Jesse..I am afraid your chances of passing using Mega Clean would be pretty low because of very prolonged and heavy THC exposure. The only option in your case would be rescheduling your test somehow. This will give you more time to detox properly. I wish I could give your better news. Hey I’m 5’10 145-150 pounds I guess my metabolism is avredge but I have a drug test tomorrow and I’ve been clean for 13 days prior to that I haven’t smoked for about a month 13 days ago I took 5 bowl hits should I be alright for tomorrow? Adam..If you were not a heavy user before you started abstaining for a month, you have a good chance to become clean by now. Using a home urine drug test tonight will show if you can pass it or not. Kat..Without knowing how long you have abstained from using marijuana, it is tough to say where you stand now. Usually heavy users might test positive for THC from 35 up to 90 days since there last regular use. Please provide me more details about your smoking history during the last 3 months and I will be able to help you with a more accurate answer.